People who want control of their investment decisions are choosing self-directed accounts. They like the secure feeling that comes from making their own decisions rather than having a broker or custodian make them. That’s why more and more retirement investors are turning to Self-Directed IRAs. They receive a wide spectrum of investment choices and the freedom to pick those with which they are most comfortable. Now, that same mindset is being applied to health savings accounts (HSAs). Self-Directed HSAs afford you the same control and choices that you get with a Self-Directed IRA. Of course, the primary benefit of an HSA is tax-free growth of the income that your account generates, and with a self-directed account, you have the potential to produce quite a bit with investments in real estate and private stocks. 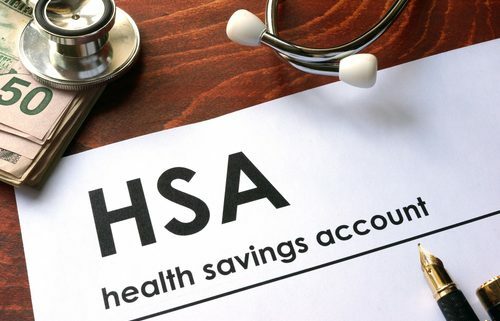 What is a Self-Directed HSA? The IRS created the health savings account as a tax-advantaged method for paying medical expenses. If they qualify, taxpayers receive a tax benefit for medical expenses whether they itemize or not. The Self-Directed HSAs are available to those who have a high deductible health plan. If you qualify, your contributions are made with pre-tax dollars and are tax deductible. Earnings and qualified withdrawals are tax-free. What is a High Deductible Health Plan (HDHP)? An HDHP is a health insurance plan, obtainable from most health insurance providers, that has a lower monthly premium and a higher yearly deductible than other health insurance plans. To qualify as a high deductible health plan, the plan’s deductible may not be lower than $1350 for an individual and $2700 for a family. If your plan meets or exceeds these amounts, you may open a Self-Directed HSA. Contribution limits have risen for 2019 to $3500 for individuals and $7000 for families. Unused funds roll over into the next year—no “use it or lose it”. If you change employers, your Self-Directed HSA goes with you. The interest earned in the account is not taxable. Distributions used to pay for qualified medical expenses are tax-free. Contributions made on your behalf by your employer, including any pre-tax contributions you make, are typically not taxable. Health care continuation coverage (such as coverage under COBRA). Health care coverage while receiving unemployment compensation under federal or state law. Medicare and other health care coverage if you were 65 or older (other than premiums for a Medicare supplemental policy, such as Medigap). What are the advantages of a Self-Directed HSA? Real estate that includes single-family and multi-unit homes, apartment buildings, condominiums, land, or commercial property. Precious metals like gold, silver, and platinum. 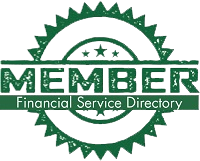 Single-member limited liability corporation (LLC). Interested in learning more about Self-Directed IRAs? Contact American IRA, LLC at 866-7500-IRA (472) for a free consultation. Download our free guides or visit us online at www.AmericanIRA.com.